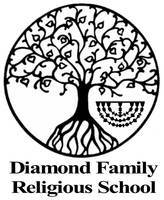 The Diamond Family Digest - Welcome Back from Break! Can't wait to see you all on Sunday! Read all the way through to see about GREAT opportunities coming up. AND...don't forget, we only have 5 weeks of school left! Hebrew Skills Red Kippah through Orange Kippah should be practicing for one more chance to advance this school year! Please click the button below to help us for Practice Passover Seders. We can't do it without your help! Know someone who should come see us in action? This Open House is open to the entire community! Have a student in PreK? Know someone with a student in PreK? Come and join us at our Spring PreK Preview Day! Free and open to the community! 7th and 8th Grade Zoo Field Trip!